Make plans to go to our next home bout this weekend! We are taking on a team we have not played before, The Aftershocks Roller Rebels from Tulalip, WA! 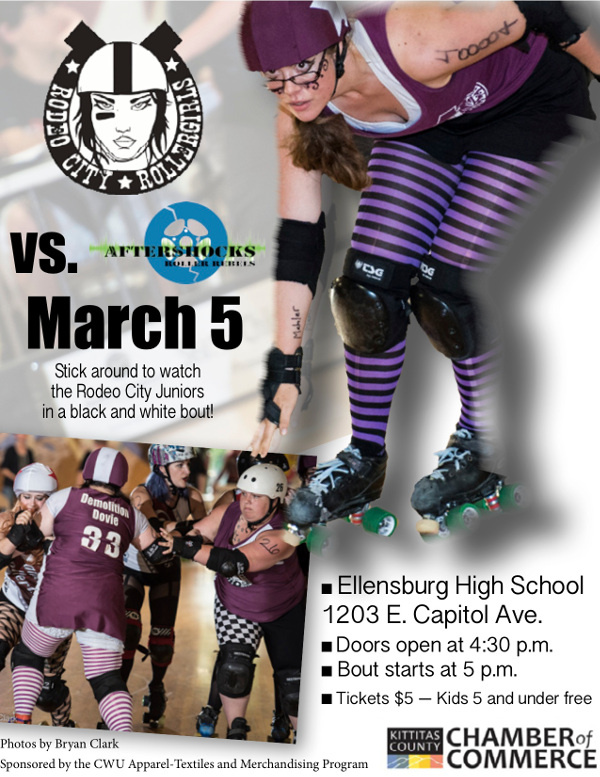 Then if that wasn’t enough derby for you, our very own Rodeo City Junior Rollers will also be there for some junior derby in a black and white scrimmage after our bout! Bring your family, bring your date, bring yourself! and have a great time watching some roller derby!